Confers Engagement Hub offers organisations a simple, highly visual and interactive portal enabling you to publish time-limited online consultations or engagement activities, and engage different stakeholder audiences on behalf of different business services or project teams across the organisation. A dedicated branded portal hosted on a subdomain for your organization and enabling secure and centralised control and oversight of all consultation and engagement activities. This product is designed for in-house consultation and engagement teams running various ad-hoc staff, stakeholder or citizen engage activities as part of wider project initiatives, and supporting various planning, policy, service-redesign or business change proposals. Engage public stakeholders throughout the project lifecycle. 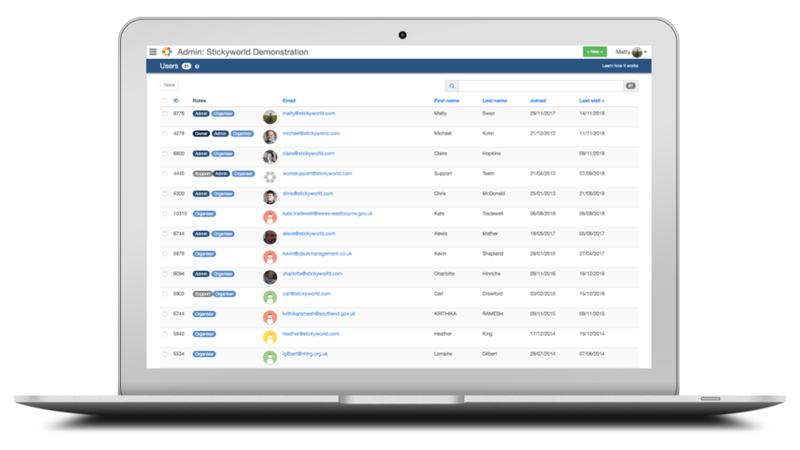 Each portal enables you to publish an unlimited number of time-limited consultations, supporting multiple projects and centralising feedback. Configure each consultation or feedback activity to suit the specific stage and engagement objective of your project. 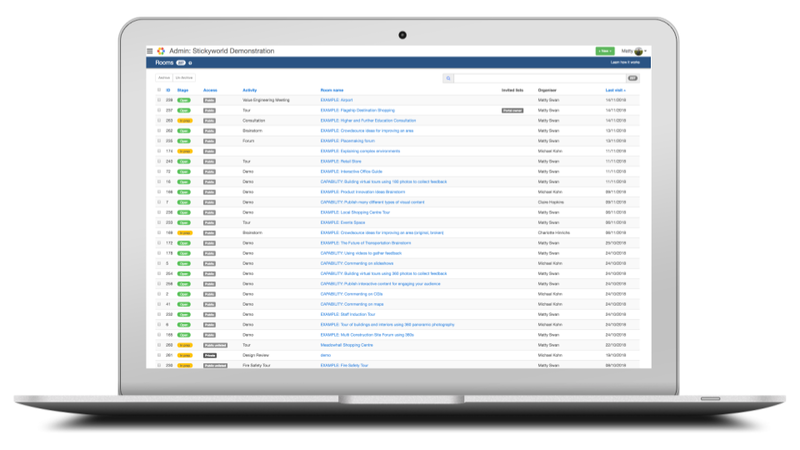 Get oversight of all stages of your consultation and feedback activities from a single view. 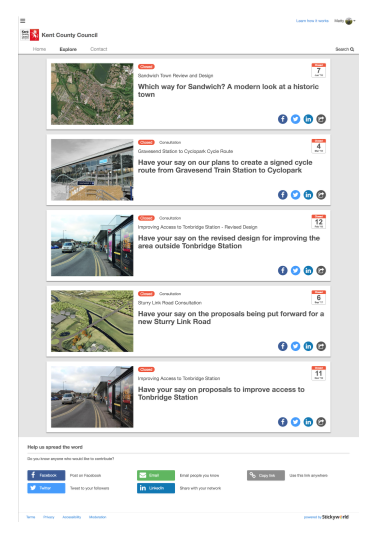 See how each consultation is doing. Set different user permissions for organisers on your portal. You can manage consultations as a central team, supporting different organisers from across your organisation to set up and manage consultation and feedback activities on their projects. With nothing to download, a Public Consultation Portal represents a cost effective solution for running unlimited number of consultations for a number of projects across your organisation. 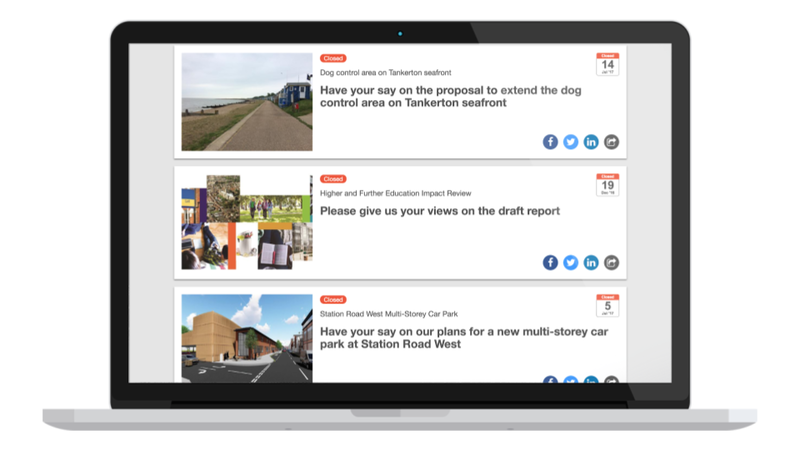 Learn how Stickyworld can help you engage public stakeholders in your project.